On Brokers this week (listed by South Bay Brokers) was a 849 Avenue C. Completed a few months ago, this 4000 sq foot home is a work of art. 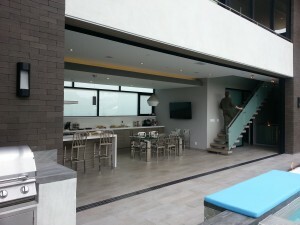 Designed by Michael Lee, a local Manhattan Beach architect who is deft in modern/contemporary architecture, this home has beautiful indoor/outdoor space. The photos I’ve posted are taken from outside by the pool which does or does not have to be separated from the living area by fully retractable floor to ceiling sliding glass doors. There is a dedicated viewing room downstairs with large theater style seating. The home is stunning. 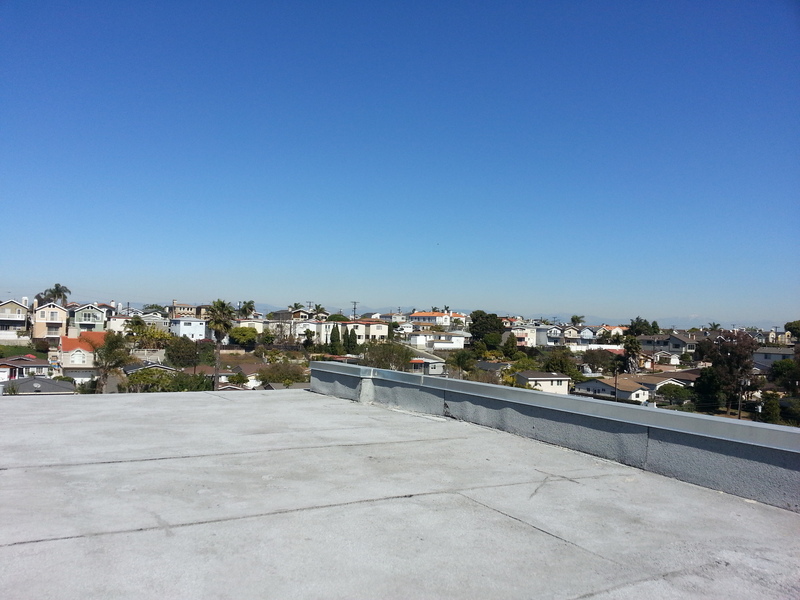 There’s not much inventory in the high end of North Redondo Beach right now. But two listings are coming back on the market for a second chance. 2211 Warfield Ave, #B is a 4 bedroom townhome built in 2005 by E&S Builders. It will be priced in the mid $800s and is a great value. 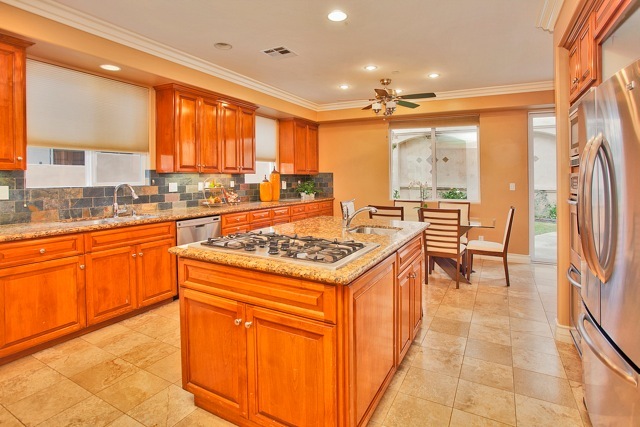 Then there is 2215 Ruhland Ave, #A. It’s a 5 bedroom townhome priced at $899,000 and built by Rich VR. 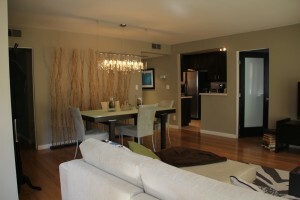 Both town homes have high end finishes. Warfield offers an upstairs loft/family room and Ruhland has a 5th bedroom which is unusual for the area. Let me know if you would like to see either of these properties before they are snapped up. 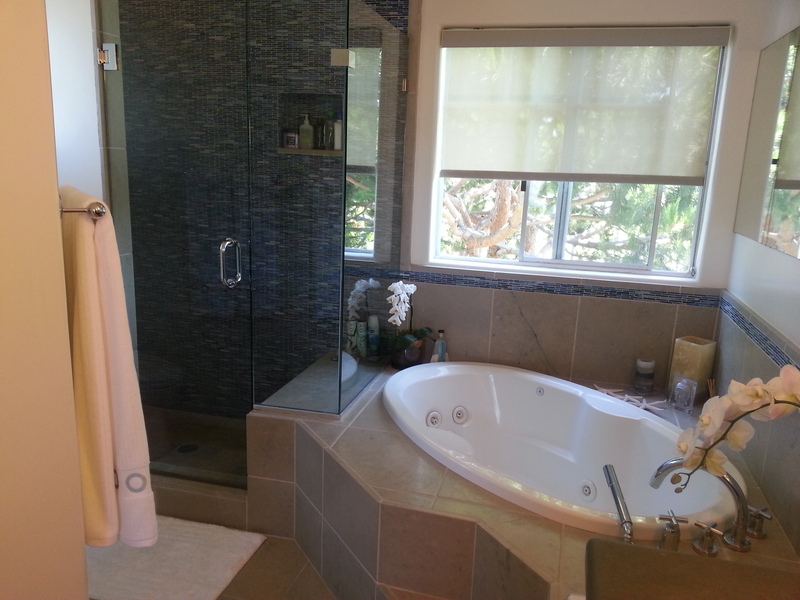 I have a listing coming up in North Redondo. 2215 Curtis Ave, #A is a front unit on a two-on-a-lot. It will be on the market the first week of November. It’s an adorable 3 bedroom detached townhome built in 1984 with 1923 sq. feet. There are hardwood floors throughout the downstairs. 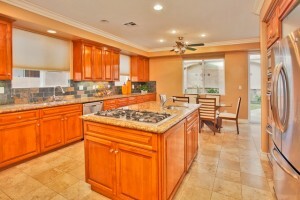 The kitchen has newer stainless steel appliances and granite counters. There is a breakfast nook, separate dining area and living room. When you walk in, you feel like you’re in a traditional single family home. All the bedrooms are upstairs. The master bedroom has been remodeled. There are all new interior doors. There is a large upstairs deck, front balcony, a back patio and a fenced front yard. This home is located in the Madison Elementary school district. It’s walking distance to Anderson Park and it’s located in a great neighborhood. 204 N Lucia Ave, #B in South Redondo just came on the market. 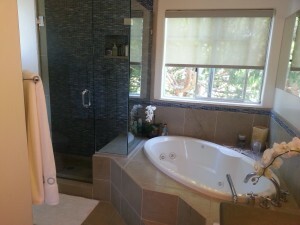 I previewed it today during Brokers’ Open. 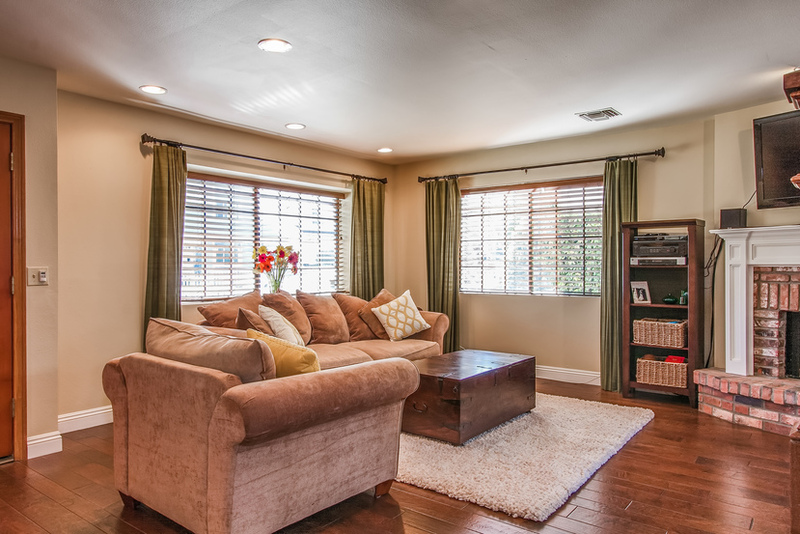 This Cape Cod style rear unit townhome has a cheerful, lovely ambiance from top to bottom. Dark wood floors and white walls give it a crisp, clean look. You just want to make yourself at home! There are ocean views from the deck off the top floor family room. There is a cute, manicured backyard accessed off the main living level. It doesn’t feel like a typical townhome. It’s nicely upgraded and I’m sure this one won’t last long. It’s my favorite listing of the day! 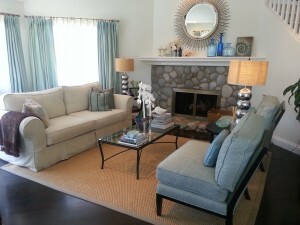 I previewed a town home last week in North Redondo that I really liked. It’s in an 8 unit complex at 1917 Nelson Ave. It had a couple of nice features that made me slow down and pause in an otherwise fast paced, blurry afternoon of Brokers’ Opens. 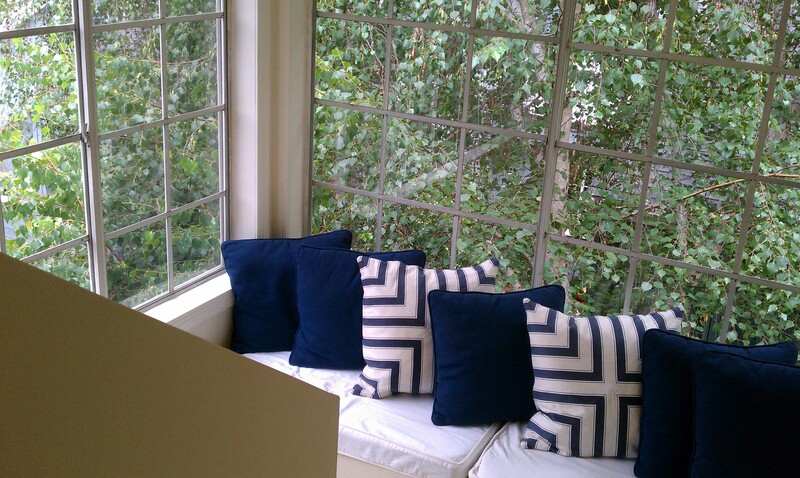 First, there was a window seat nestled between two large windows on the on the staircase landing between floors. It was such a lovely way to use the space. I could sit there and read for hours. Second, the master bedroom had a small alcove. The space was defined by the hardwood floors (the rest of the bedroom was carpeted) and again looked out to the greenery. The home turned small spaces into warm, inviting environments that make a house a home. 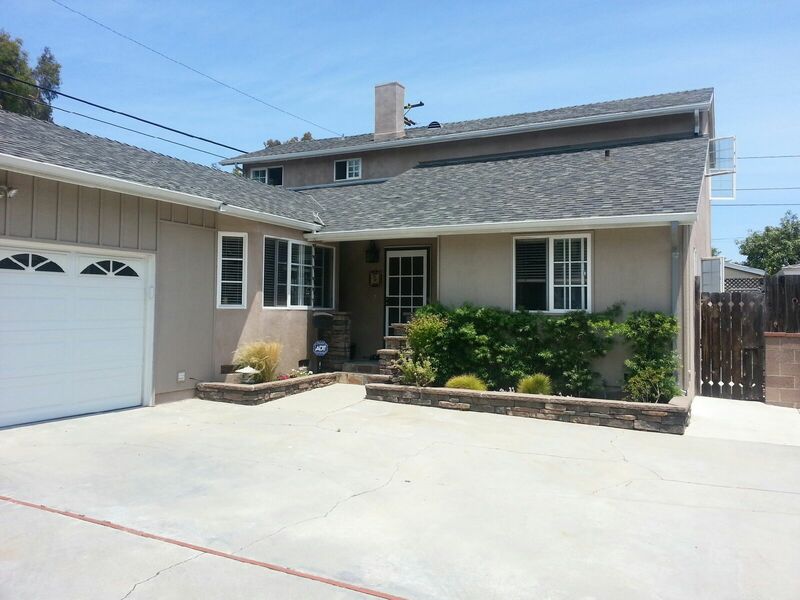 (This listing is Brokered by RE/MAX Palos Verdes.) But I can still get you in to see it!